The Future of the Construction Industry - Turbulence Ahead! The construction industry had an amazing 2015. Construction spending rose 12% in 2015 from ~$990 Billion to ~$1.107 Trillion. Great news – the future of construction looks promising, right? 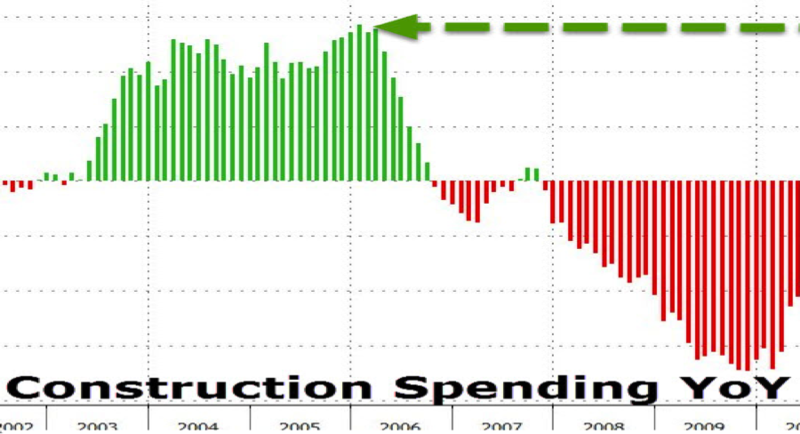 The scary part about the industry’s growth and the future of construction is how closely it mirrors the construction spending collapse of 2006-2009. Let’s take a closer look at the fundamentals. As you can see the last time we had this type of divergence between the price of lumber and construction spending we had a severe recession that shrunk construction spending by over 40% between 2006 and 2010. As we head into 2016, the best way to protect your business is to understand that we may be in for some turbulence. To weather the storm, find ways to increase your business’s profitability by maximizing efficiency through cheap and effective solutions that will allow you to reduce headcount without sacrificing the amount of work you can handle. BIO: Justin Nolan is the Director of BuildingBlok®. He graduated from Johns Hopkins University in 2004 with a degree in History. After a few years in finance he moved over to Hill International as an assistant project manager. In 2007, he founded BuildingBlok®, an online construction management software system, to help make the construction process more efficient.